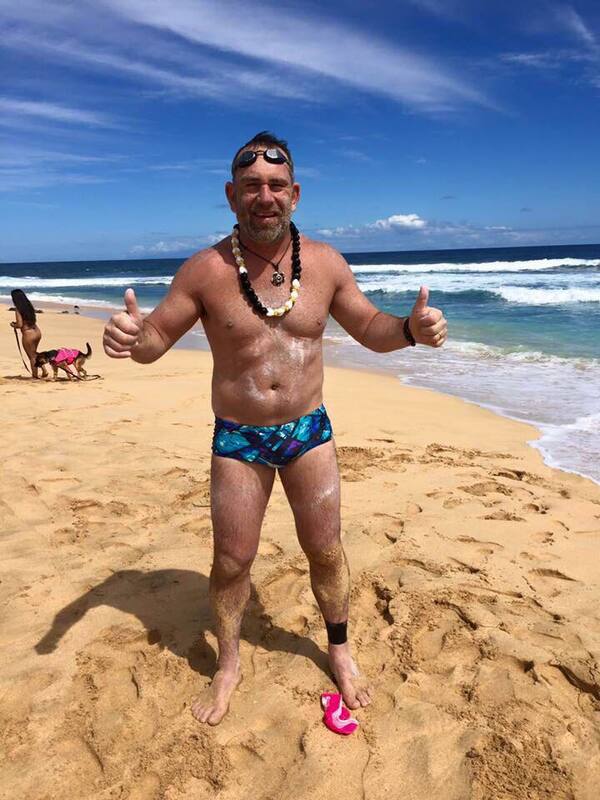 Cape Town businessman Toni Enderli braved over 20 hours in shark infested waters, suffered consistent jellyfish stings and fought a punishing rip tide to conquer one of the world’s harshest ocean swims, the Molokai Channel in Hawaii over the weekend. The swim was aimed at raising funds to help prevent drownings in SA. Cape Town businessman Toni Enderli braved over 20 hours in shark infested waters, suffered consistent jellyfish stings and fought a punishing rip tide to conquer one of the world’s harshest ocean swims, the Molokai Channel in Hawaii. Although the channel is 42km wide, Enderli — wearing only a Speedo costume, cap and goggles –covered about 58km due to severe currents to become the fourth South African and 57th swimmer globally to successfully swim one of the world’s most treacherous bodies of water, also known as the “channel of bones”, notorious for claiming scores of seafarers’ lives. “It was my toughest day on this planet and the longest night of my life,” said property consultant, Enderli who set off on Saturday evening from Molokai Island across the 700m deep channel to Oáhu Island. “I encountered dolphins, saw two sharks which fortunately kept their distance and was stung consistently by jellyfish on my entire body, including my nose and face. It was the most painful thing I have ever experienced. The 20hr 35min swim was the third in Enderli’s quest to become the first South African to complete seven of the world’s most brutal open water swims known as “Oceans Seven”, the marathon swimming equivalent of the Seven Summits mountaineering challenge. He has already completed the 34km English Channel and the 12.5km Strait of Gibraltar and through donations is raising funds for the National Sea Rescue Institute’s water safety programme to help prevent drownings. Enderli’s next swim is a hazardous 32km channel between Catalina Island and Long Beach, California, in October, 2017.